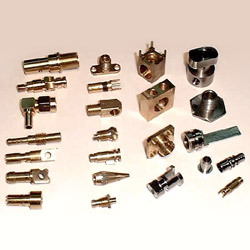 Manufacturer of Industrial Machine Part & Components. 1. Main of product :OEM (machine parts, turned parts), especially high complex, accuracy and smallest tolerance turned parts. 2. Offering a wide range of assembly work -(forming stamped parts, casting parts, press parts, plastic & rubber parts, mold manufacture, any metal parts manufacture) heat treatments, grinding and plating. 3. Customers supply sample or drawings because we are a OEM manufacturer. All follow customers demand to make parts.